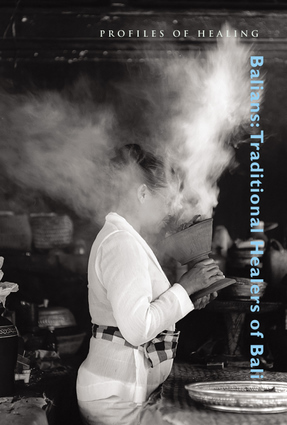 The 10th volume of the Profiles in Healing series presents the male and female healers from Bali, called Balians; discusses their healing practices; and shares the visions that have defined their way of life. In addition, the Lontar—a sacred text consisting of etchings on dried palm leaves—is presented and its medicinal teachings are explained. Illustrated by beautiful and mystic photos and drawings and accompanied by an audio CD of traditional music and readings from the Lontar, this books provides a penetrating examination of the ancient healing practices of Bali. Life stories, personal accounts of visions, and detailed descriptions of medical practice are interspersed throughout. Bradford Keeney, PhD, is the author of Shaking Out the Spirits, Aesthetics of Change, and Mind in Therapy. He is the vice president of cultural affairs for the Ringing Rock Foundation.